Summary: Jean Handwerk explains the connection between modern wheat and many averse health effects. Cardiologist William Davis wrote Wheat Belly: Lose the Wheat, Lose the Belly to report his findings when pre-diabetic or diabetic clients came to him for heart disease prevention and followed his advice. He told them that wheat products, such as whole wheat bread, raise blood sugar levels higher than nearly all other known foods. “Healthy” whole wheat bread actually has a higher glycemic index than table sugar: 72 versus 59. The glycemic index measures how much something elevates your insulin levels. The higher the insulin levels, the more your body stores fat, both internally around your organs and externally, in weight gain and obesity. Elevated insulin levels also increase the likelihood of developing diabetes and other related illnesses. When Dr. Davis’ clients did forego all wheat products, what happened exceeded his and their expectations. Not only did excess weight disappear from hips, thighs, faces and bellies, but many of his clients saw other health problems fade away as well. For many, diabetes, arthritis, high cholesterol, hypertension, stroke, skin conditions, heart attack, digestion-related pain, joint inflammation pain, underweight, brain fog—all lessened or were eliminated. Dr. Davis mentioned some people’s “brain fog” clearing when they go off wheat, but there’s more to the story about gluten grains and the neurological symptoms they can cause. First, a bit of background might be helpful. Celiac disease—also known as gluten intolerance—is an increasingly common, multi-organ systemic disease that most often affects the gut but also affects other organs, especially the skin. In the gut, the villi that line the small intestine are damaged. Villi are the means by which the body absorbs nutrients from digested food. 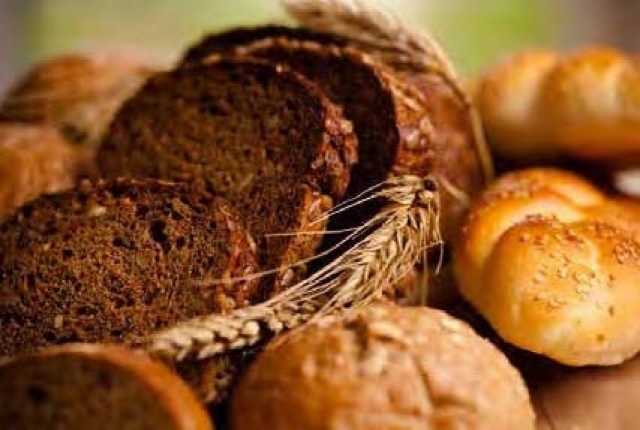 When people with celiac disease eat foods that contain gluten, their immune system reacts and villi are compromised or damaged in that reaction. Because the villi cannot perform their function as God designed, nutrient assimilation is affected. A person becomes malnourished no matter how much good food he or she eats. In addition, when minute, incompletely digested food particles escape through the damaged gut wall into the bloodstream (leaky gut syndrome), food intolerances or allergies result, compounding the misery. Most doctors attribute forgetfulness or confusion to normal aging or Alzheimer’s disease. Research from the Mayo Clinic, however, indicates that celiac disease should be considered when people start experiencing amnesia, confusion, or personality changes, or when they have trouble thinking, doing simple math, or remembering things. Several of their patients had been diagnosed with both celiac disease and dementia. In two cases, a gluten-free diet reversed the cognitive decline.iii, iv Getting a blood test for gluten sensitivity when brain function appears to be declining is a simple way to avoid a wrong diagnosis of irreversible dementia, inappropriate treatment, and prolonged suffering. “Researchers in Israel have described neurological problems in 51 percent of children with gluten sensitivity, . . . [and] a link between gluten sensitivity and attention deficit/hyperactivity disorder (ADHD). Actually, the link between gluten sensitivity and problems with brain function, including learning disabilities, and even memory problems, is not that difficult to understand. Gluten sensitivity is caused by elevated levels of antibodies against a component of gluten called gliadin. This antibody (the antigliadin antibody) combines with gliadin when a person is exposed to any gluten-containing food like wheat, barley, or rye. Why has such a millennia-old, staple food become an enemy to an increasing number of people? Today’s wheat is drastically different genetically from its parent stock of einkorn and emmer wheat.viii It has been bred for greater yield, increased disease-drought-heat resistance, easier threshing, better bread results, and other desirable traits. It has been credited for helping solve world hunger. However, no animal or human safety testing was conducted on the new strains. It was found that five percent of the proteins expressed in one wheat hybrid were found in neither parent! “Multiply these alterations by the tens of thousands of hybridizations to which wheat has been subjected and you have the potential for dramatic shifts in genetically determined traits such as gluten structure.”ix Even small changes in plant protein structure can cause devastating immune responses in humans. Just recently, the United Nations’ World Health Organization warned that dementia will double within 18 years, and more than triple by 2050. We don’t know how many in that increase will actually be reacting to gluten/gliadin and get misdiagnosed because we know gluten intolerance is also increasing. Even if you’re just looking for a clearer mind, try a gluten-free diet for a time to see if there’s any improvement. A gluten-free diet is neither impossible nor unappealing. An Internet search will yield many recipes or cookbooks. Often it’s just a matter of replacing gluten grains with a variety of delicious, nutritionally-loaded alternatives like millet, quinoa, buckwheat, amaranth, teff, corn (organic only; most corn is genetically modified) and all different kinds and colors of rice. One might even try emmer or einkorn wheat; both are delicious and healthful but they don’t taste or rise like today’s wheat. Soaked chia seeds or ground flax seeds can replace gluten to hold non-gluten flour mixes together. Non-gluten breads do not rise as well as wheat does, but yeast-free breads are numerous, delicious, and easy-to-make. A quick gluten-free, oil-free, yeast-free bread/cracker recipe follows. Any desired seasoning or spice, such as cumin, vanilla, coriander, lemon, organic orange peel . . .
For sweet, add chopped or ground nuts, seeds, dried fruit . . .
For savory, add chopped onions, garlic, olives, spinach . . . Replace some or all of the water with fruit juices, coconut water, nut milks, apple or other fruit sauce . . .
Add enough water or other liquid to make somewhat stiff batter. Put by spoonfuls on lightly oiled baking sheet. Flatten mounds to get more of a cracker texture, if desired. Bake at 350o for at least 40-45 minutes, or till bread/crackers no longer stick to baking sheet. Tip: Sesame seeds sprinkled on baking sheet make sticking less likely. Serve with nut or seed butters, jams, or eat plain. These don’t last long! Cook wheat berries according to basic cooking instructions. Strip the kale leaves from the stems & chop in thin strips. Add to a large serving bowl with cabbage, onions, and beans. Toss well. In a small mixing bowl, whisk together olive oil, lemon juice and salt until the dressing emulsifies. Stir in parsley, thyme and garlic. When the wheat berries are cooked, let them stand for a minute, then toss the hot einkorn with the kale and cabbage in the serving bowl. This will soften the kale slightly, but the vegetables will still keep their crunch. Drizzle lemon and herb dressing on top and mix well until incorporated. Serve with salt and freshly ground black pepper to taste. vii. William Davis, Wheat Belly: Lose the Wheat, Lose the Weight, and Find Your Path Back to Health. New York: Rodale, 2011, 46.
viii. 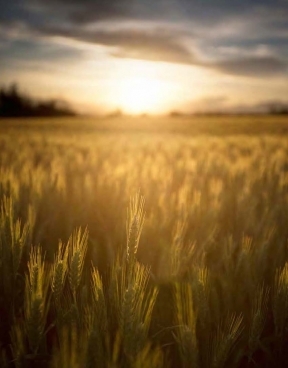 One can learn more about emmer and einkorn wheat from the Heritage Wheat Conservancy, an organization dedicated to preserving ancient food crops by cultivating them, using organic principles. See www.growseed.org. ix. William Davis, Wheat Belly: Lose the Wheat, Lose the Weight, and Find Your Path Back to Health. New York: Rodale, 2011, 26.
xi. Ellen White, Ministry of Healing, 301.
xii. Ellen White, Counsels on Diet and Foods, 317.
xiii. http://www.peoplespharmacy.com/2006/10/30/celiac-disease-1/. A CD of that one-hour radio interview about celiac disease that covers symptoms, diagnosis and treatment is available for $16 from the People’s Pharmacy (CD- 594), P. O. Box 52027, Durham, NC 27717-2027 or from www.peoplespharmacy.com.